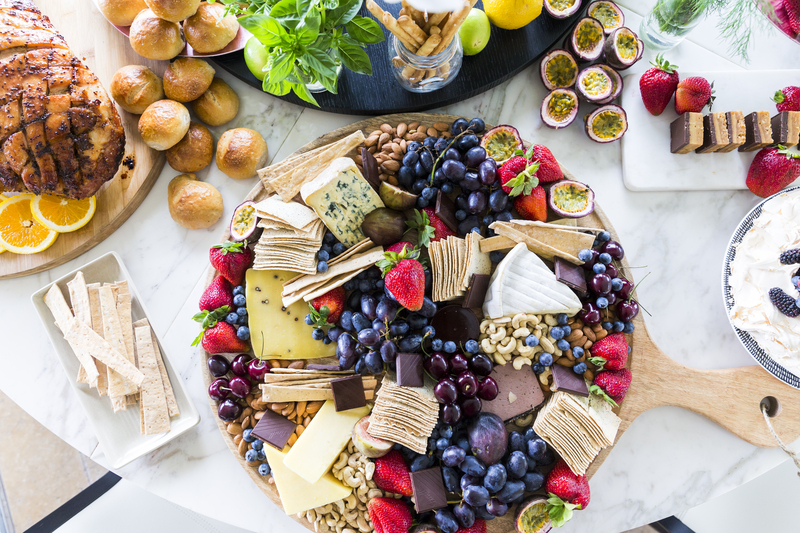 Hosting drinks and nibbles at home can be extremely stressful, especially when you want everything to be absolutely perfect. So, you can either save my number in your favourites and let me take care of it, or jot down some of my top tips for creating the ultimate sunset soiree that’ll impress everyone. Firstly, plan a party that you can enjoy yourself. Spend the afternoon setting up and styling so you can pop a bottle when everyone arrives and wipe the dance floor (not the kitchen bench). 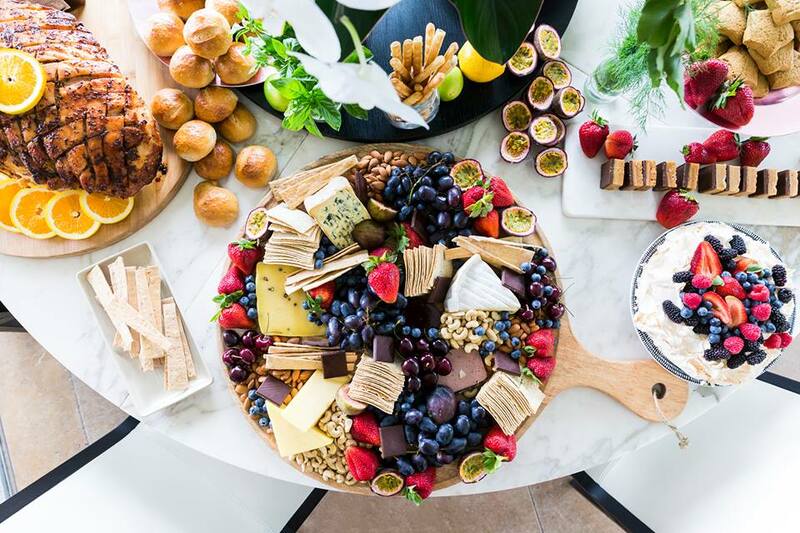 When it comes to planning the food, you can’t go past a styled food table with a selection that guests can eat standing up and graze on throughout the night. I always recommend including something substantial as well to help soak up the booze. Some say size doesn’t matter… I disagree. When you’re buying your cheeses, opt for large unusual shapes from your deli rather than pre-packaged supermarket cheeses. If you’re going to add some antipasto to your table, make sure you buy enough to make it look full and opulent. 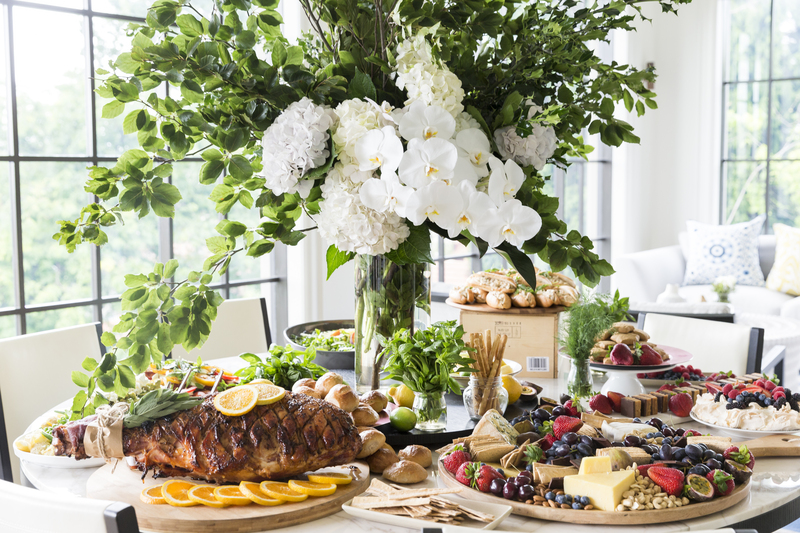 Your food station is a focal point, and it’s generally where everyone will congregate. I always make sure there is an obnoxiously large bunch of flowers in the middle to make a real statement. Ask your florist what’s in season and make sure you add some height to it with foliage. Another handy hint, visit your local nursery and purchase some fresh herbs in pots and sit these around the table. Another important part of styling the table is your selection of platters, plates and bowls. I like a combination of wood, marble, granite and glass. It’s also very important to have variations in height, width and shapes when picking your serving platters so you add some character to the table. If your table top is clashing with what you’re putting on it, place a simple white or grey table cloth down first and build up from there. Nobody wants their guests to go home thirsty, right? 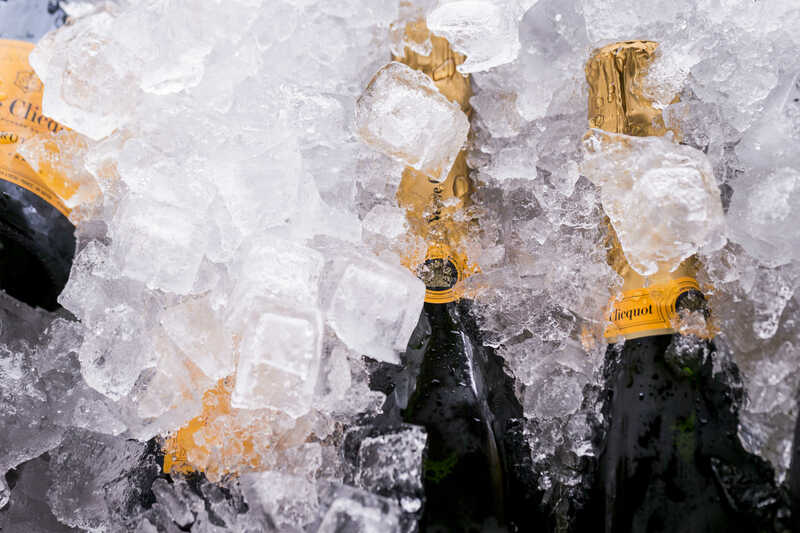 So if you haven’t booked a Bartender, let everyone help themselves to drinks and fill large metal Champagne buckets with ice and place your beers, wine, Champagne and sparkling mineral waters (1 hour before so they’re cold) in them with bottle openers at arm’s length. These buckets are a great investment and are also useful for presenting your seafood in. All that’s left to do is turn up the music and top up your glass. 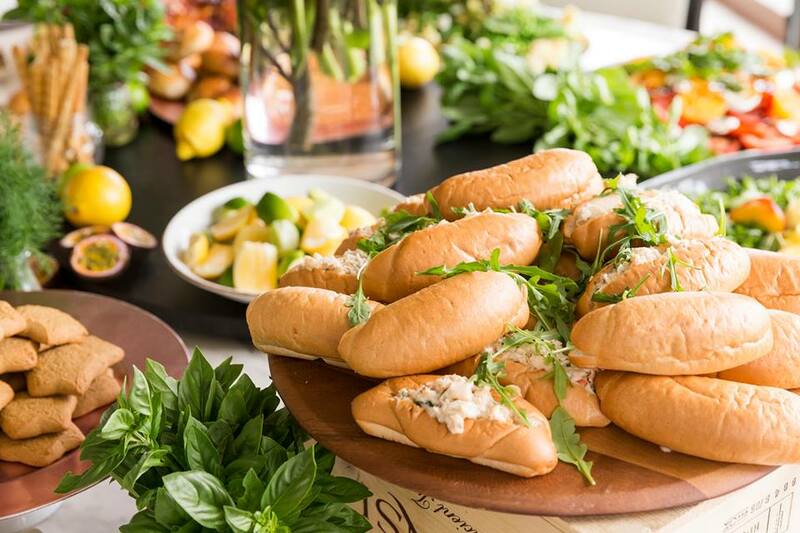 I hope this is helpful and gives you a little foodspiration for your next event.